Wishing you all a day filled with the sweetness of love! Sending our Valentine's Day wishes for a day filled with love to you Miss Sandy! Happiest of Valentine's Day to you, Miss Sandi! I hope each day brings you a Valentine...a soft day! 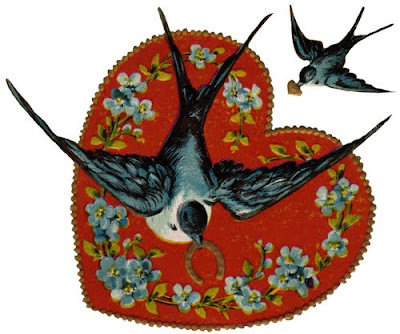 A perfect image choice -- I LOVE Karen's Whimsy's site, especially the public domain images (although her altered art creations are very cool).